NGK’s environmental protection activities include, in addition to activities to promote waste reduction and energy conservation, efforts to position “environment-related social contributions through products,” which is our business itself, as an issue of utmost importance. Going forward, we need to continue being a company that contributes to the environment on the basis of NGK Group Philosophy and the NGK Group Guidelines for Corporate Behavior. As we entered the 1980s, new environmental problems, including soil contamination, the destruction of the ozone layer, global warming, and the loss of biodiversity became apparent, in additional to earlier problems such as atmospheric pollution and water pollution. In 1996, amidst these circumstances, NGK established "NGK's Core Policy on the Environment" and clarified its intention to contribute to global environmental problems through activities in the “Triple-E” business sector. We also accelerated and propelled our efforts further by establishing Five-year Environmental Action Plans every five years starting in 2001. NGK has continued to carry out these environmental activities, and the one that has consumed our energies the most is our contributions to protecting the global environment through our products and through energy savings and CO2 reduction achieved through manufacturing process development. Recognizing that protecting the environment is a vital issue that all of humanity must face, the NGK Group formulated its Core Policy on the Environment in April 1996 based on Environment Philosophy and Environmental Action Guidelines in order to bring its corporate activities into harmony with the environment. On the basis of this policy, the NGK Group works to reduce the environmental impact of business activities, and actively strive to help protect the environment by developing products and technologies to that end. Given its corporate philosophy, “NGK products and technologies must create new value and contribute to the quality of life,” NGK will contribute to tackling environmental issues through its “Triple-E” business segments of ecology, electronics, and energy to create a comfortable environment for future generations. Provide environmental information to the public at the appropriate time and pursue dialogue with all stakeholders. Proactively develop social action programs. Also, engage in education and publicity in order to improve employees’ environmental consciousness. 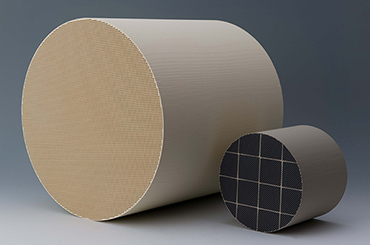 Because ceramics, which are our main product, consume large amounts of energy during the firing process and emit large quantities of CO2, we have been pushing forward with efforts to limit those emissions and consumption for some time. 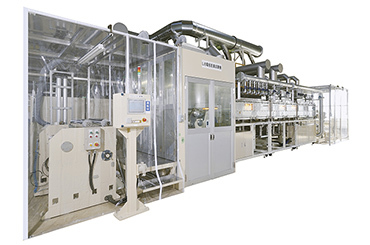 In terms of operations, this means significantly shorter production time and improving the yields of our manufacturing processes; in terms of facilities, it means developing processes with a lower environmental impact. 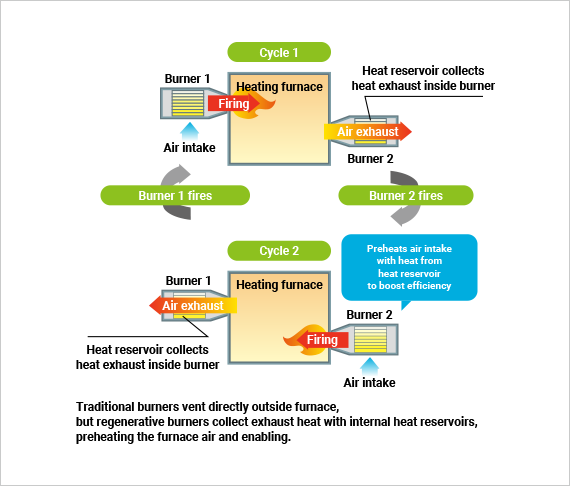 In concrete terms, we are switching to natural gas for our firing fuel, switching to fiber-based kiln materials, using waste heat, and using lightweight kiln tools. 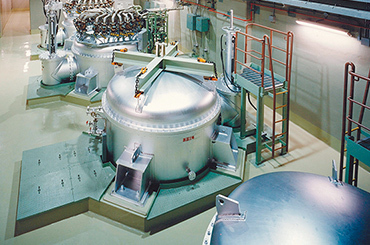 The result of these efforts is that taking the amount of CO2 emitted from our furnaces in 1984 as a baseline of 100, we reduced emissions to 31 in 2015. The introduction of processes with such a low environmental impact has proceeded throughout the NGK Group, including overseas, and in 2011, our programs at P.T. NGK CERAMICS INDONESIA and NGK CERAMICS MEXICO, S. DE R. L. DE C. V. were registered with the United Nations Clean Development Mechanism (CDM). The CDM is an international mechanism that reduces greenhouse gases and increases their absorption through technical and financial assistance provided by developed countries to developing countries. NGK CERAMICS MEXICO, S. DE R. L. DE C. V. was registered with the CDM again in 2012. NGK’s greatest environmental contribution is protecting the global environment through products. 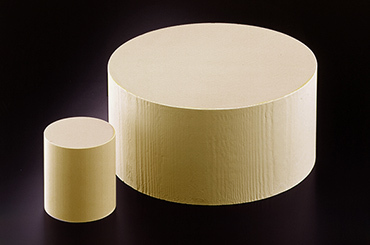 We have contributed to society by developing a variety of products with our proprietary ceramics technology as our core technology. Representative examples in the automotive field include HONEYCERAM, diesel particulate filters (DPFs), and high-precision NOx sensors for automobiles. As regulations have gotten more strict since the 1980s, we have been providing global automobile manufacturers with HONEYCERAM for over 30 years; and for diesel vehicles, whose exhaust gas is difficult to purify, we have been providing DPFs that purify the exhaust of particulate matter (PM). 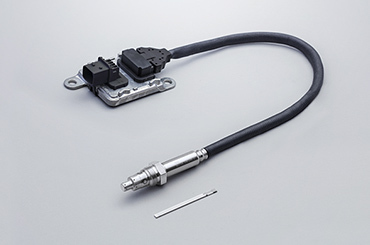 Furthermore, the use of NOx sensors has made it possible to reduce NOx emission volumes by detecting concentration and providing feedback to the control unit. We have also successfully implemented NAS batteries — something never done before anywhere in the world — and they are recognized as an eco-friendly product. Wind and solar, which have spread rapidly in recent years, are unstable power sources, and they have a negative effect on power grids when introduced in large amounts. 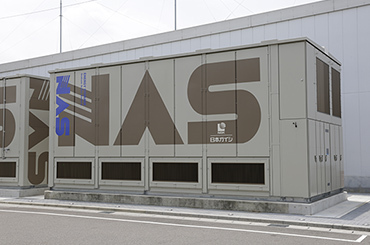 For this reason, NAS batteries have been installed in large numbers in both Japan and abroad for the purpose of stabilizing the power supply. Going forward, our group will continue to be united in NGK’s important mission of contributing to the protection of the environment through the development of products and technology that are helpful for environmental protection. How Can We Contribute as Individual People? In our Fourth Five-year Environmental Action Plan, which began in 2016, we looked at the NGK former corporate philosophy, “NGK products and technologies must create new value and contribute to the quality of life,” from an environmental perspective, and we established “the development and proliferation of eco-friendly products” as our most important concern. By coordinating “New/Reformed Manufacturing Structures” with environmental impact reduction activities, we continue to work on reducing CO2 emissions resulting from production activities at a global scale. In addition, we decided to bolster our activities aimed at biodiversity conservation and risk management related to water sources in response to growing social demand. When it comes to environmental problems, what’s important is the personal perspective — what an individual person can accomplish. When it comes to NGK, we are required to contribute to the protection of the environment by devising plans to reduce the environmental impact of our business activities through work reform activities involving each individual, while we provide society with as many environmentally friendly products as possible.